For this Art Direction II assignment, we were to choose a brand of interest, and then create 3 separate ads. The first one dealing with irony, the second one exaggeration, and a third ad acting as a metaphor without using copy, only a visual and logo. The brand I chose was Shure SE210 In-ear Headphones. They're sound isolating, and so I wanted to focus on that benefit. In fact they isolate sound so well that you can virtually hear nothing at all when you put them on. Clear, crisp, quality music is the result of wearing Shure Headphones, and those are the benefits I wanted to convey in my ads. Before jumping on the computer and executing my ads, I needed ideas. And so, I sketched quite a few thumbnails in order to get as many ideas as possible. I found The Kickstart Catalogue from Mario Pricken's Creative Advertising, to be quite helpful in the ideation process. 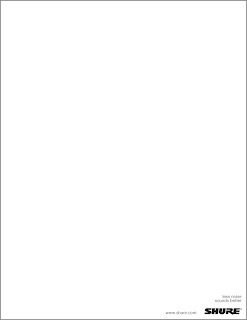 I went for a minimalist approach for my irony ad. The tag-line reads, "less noise sounds better." In this case, less is more. I decided to keep the rest of the page white to heighten the impact of the tag-line, logo and call to action at the bottom. There is less noise on the page visually, and less noise in your ears with Shure Headphones. For my exaggeration piece I had the idea of bringing dead musicians back to life. This could be expanded into a campaign potentially. 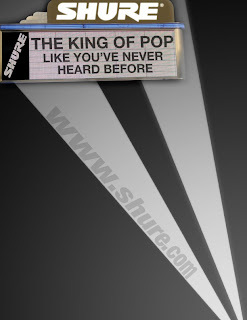 I took the Apollo Theater Marquee sign and manipulated it into the Shure Theater. The headline reads boldly, "The King of Pop Like You've Never Heard Before." Not only is it timely, but it exaggerates by bringing Michael back to life through the clarity of Shure Headphones. Listening to MJ on your Shure Headphones is equivalent to hearing him live, minus all of the noisy fans of course. 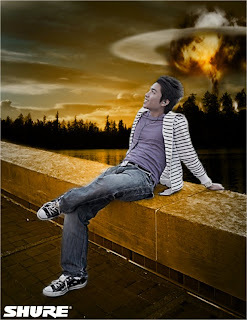 My final ad was to be metaphorical with a visual and logo only. I will let the visual speak for itself.